The chimichanga is a deep fried Tex-Mex dish that is typically filled with rice, cheese and meats. However, this delicious and warming dessert is a wonderfully sweet twist to the classic savoury dish. 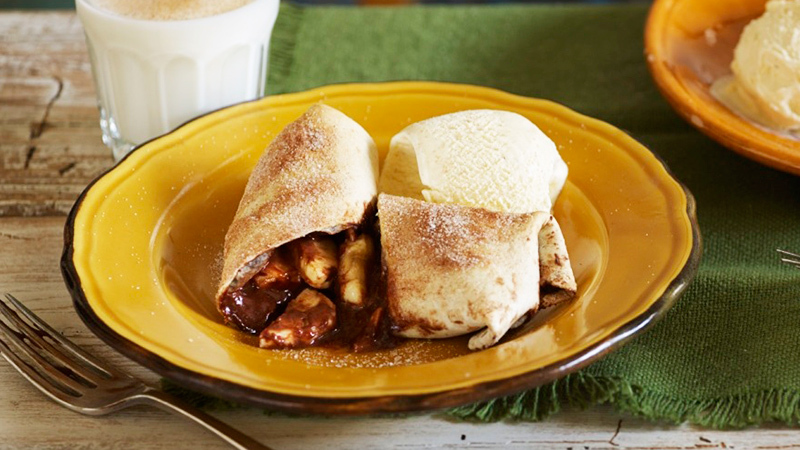 Wrapped in toasty soft flour tortillas, the chimichanga is filled with gooey bananas coated with sweet cinnamon spices and melted chunks of chilli chocolate. It packs a little kick so it might surprise a few, but it’s perfect for an after dinner dessert. To rustle up these baked chimichangas, fire up the oven to 190ºC (170ºC for fan assisted ovens), gas mark 5. 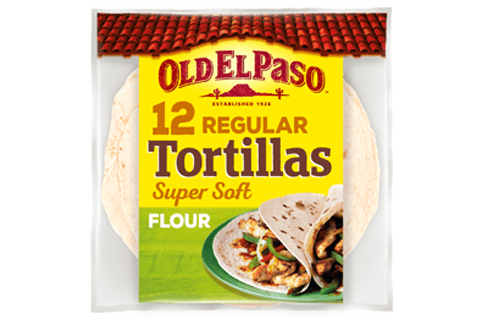 Warm up the Tortilla wraps by following the instructions on the pack. Whilst the wraps are warming nicely, grab a small bowl and throw the sugar and cinnamon together. Give it a good stir. Place the sliced banana in the middle of the warm tortilla wrap and sprinkle over some of the rich chocolate. Next grab the sides of the tortilla wrap and fold them so they meet in the middle. Then flip over the filled wrap (with the folds underneath) and place it on a baking sheet. With a little oil, brush over the wraps and sprinkle with the cinnamon sugar. Repeat with the rest of the ingredients making roughly 6 delicious chocolate banana chimichangas. Pop it in the oven for 10 minutes, until the topping is golden and bubbling and call up some friends to share it with. Serve it straight from the oven with a big scoop of vanilla ice cream on top.